A sweet lady living Lexington, SC has experienced and felt the love of Christ this summer through our volunteers. Through coming to meet the physical needs on her home, so much more was accomplished. A glimpse into the project: black mold had been encompassing her home for years but she’s never been able to address it due to the expense. Through partnering with a mold exterminator company and through the efforts of equipped NS volunteers, the areas of mold infestation in her home were able to be ripped out and replaced. Because of the effects of breathing and living in black mold, she has struggled with her mental health but is now on the flip side of recovery. 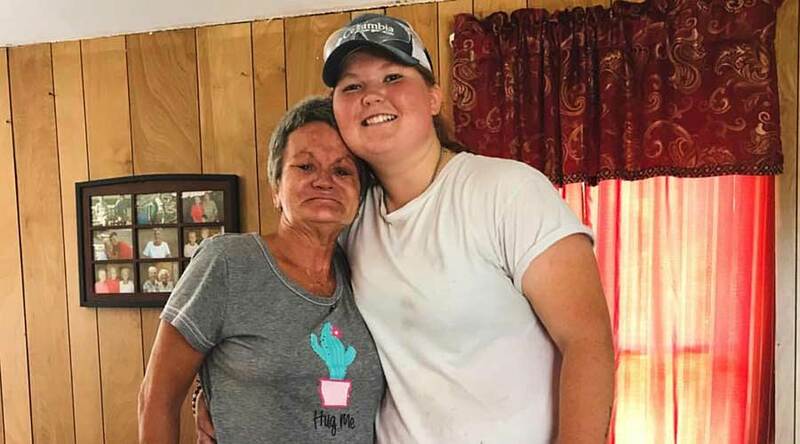 A few weeks after Next Step groups had finished working on her home, she shared that she “doesn’t know where these kind of people come from.” She’s expressed that she’s never met such loving individuals who cared for her so much. She’s a lady who has been through a lot with family and hasn’t ever felt supported or of value. After Next Step groups worked on her home for about 5 weeks she has started to believe that she is loved, cared for, valued and has a purpose here on earth. She is now desiring to get plugged into a local church, saying that she realizes she needs fellowship and community among other believers because “there’s just something about them.” Next Step groups have had the opportunity to pour into her tremendously and it’s been such an amazing few weeks of transformation for her. God uses these little home projects for so much more than just tangible fixes. Our groups and staff have in returned been so blessed to have gotten to know her and her story.